At Wallers Industrial Hardware, although we do stock the latest milling, drilling, cutting and measuring equipment, what we really take pride in is our old fashioned service. We understand that it is not always possible for our clients to visit us so we are happy to make site visits. To organise a visit to your workshop or business, simply contact us via phone or email, and we can organise an appointment that will fit into your busy schedule. 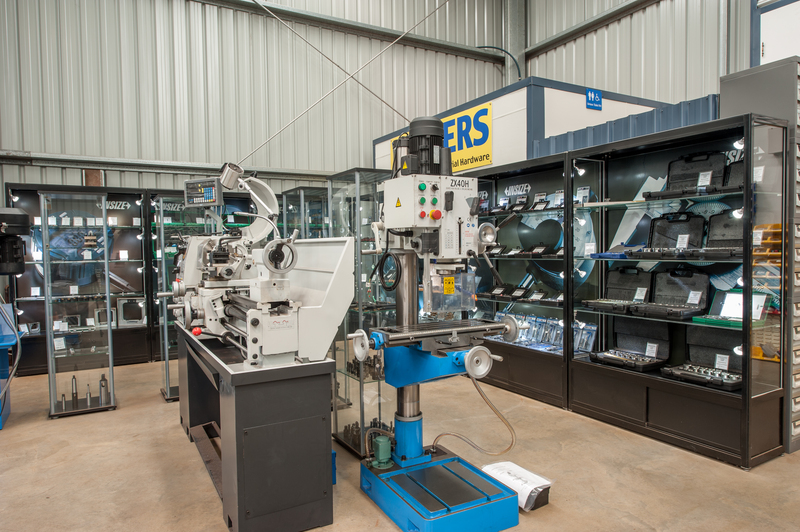 Covering all facets of the machining trade, Wallers Industrial Hardware stock a full range of HSS and carbide cutting tools, including taps, dies, slitting saws, end mills, broach cutters, TCT holsaws and much more. Wallers Industrial Hardware have your drilling applications covered. From machinery to the smallest drill bits, and accessories to suit. There is no job too large or too small, we can get you out of trouble with quality tooling and minimal downtime. With our extensive range of milling machinery, accessories and tooling, Wallers Industrial Hardware is sure to have what you require. From small mill-drills to industrial turret mills, a full range of accessories to suit, and tooling from basic end mills to high performance thread milling cutters.